At Hearing Associates, we provide a wide range of hearing aid options to our Northern Iowa patients. 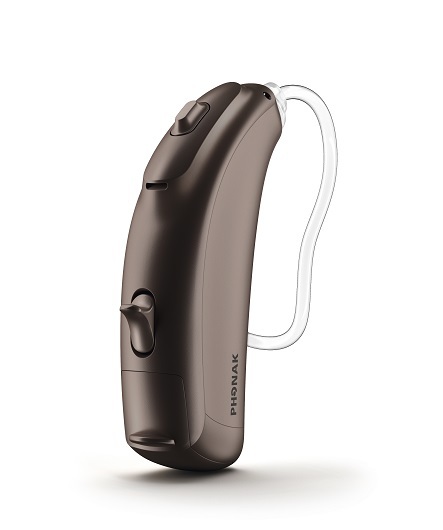 In addition to Lyric and Oticon devices, we also offer Phonak hearing aids for all levels of hearing loss. Audéo V – The Audeo V features technology that lets you understand speech from any direction, you can enjoy conversation without being face to face. Audéo B – Make hearing an effortless experience with these sophisticated instruments. They adapt to each sound automatically, so wearers experience unparalleled hearing performance in any situation. Experience 60% improved speech understanding, including quiet voices and soft sounds. Audéo B-R – As the fastest-charging, longest-lasting rechargeable hearing aid available, the Audéo B-R offers 24 hours of hearing with one, 3-hour charge. The lithium-ion battery lasts through the lifetime of the hearing aids, freeing wearers from the cumbersome task of regularly changing batteries. Sky B – Sky B, the current Phonak pediatric hearing aid line, accommodates mild to profound hearing losses. The devices boast colorful styles and incorporate technology specifically designed for infants, children and teens. Naída B – Specifically designed for those with severe to profound hearing loss, the “super power” Nadia B allows wearers to understand more, even in challenging listening environments. Pair with Roger wireless microphones for a comprehensive hearing solutions package. Virto V – This hearing aid line is custom-made to suit your needs. You select the device size, shell, faceplate, color and technology. We take care of the rest. Bolero V – Ideal for active lifestyles, the Bolero Q is equipped with water and dust resistant features. Bolero B – What makes Bolero B so special is its unique operating system called AutoSense OS. It senses your surroundings and adjusts your hearing aids every step of the way. With the rechargeable Bolero B-PR, you can enjoy 24 hours* of hearing with one charge. Virto B-Titanium– The super-discreet custom hearing aid made from titanium. It adapts simply to every sound environment automatically for excellent hearing performance everywhere. CROS II – The CROS system is ideal for those with single-sided hearing loss. 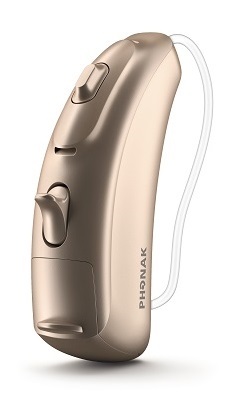 The hearing aids feature Phonak Venture technology, which uses its microphone to transmit sound from your poor ear to the device in your good ear. 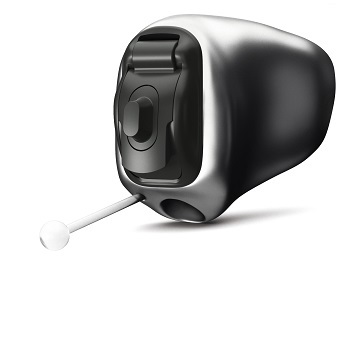 CROS B – The smart solution for single-sided deafness. CROS B automatically detects what listening situation you are in and switches to the best possible setting. You’ll forget you’re wearing it. It can zoom in on the voice in front of you for better speech understanding. Audéo Marvel – The Phonak Audéo Marvel focuses on what you expect from a first-class hearing aid – a clear, rich sound experience. 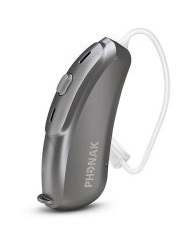 Combined with modern technology it is a multifunctional hearing aid that can connect to your smartphone and TV, giving you an optimized sound quality. For additional information about Phonak hearing aids, click on the icons or contact Hearing Associates in Mason City, Iowa. Contact us to schedule your consultation appointment today.